If you’ve ever watched TV, you might be carrying some preconceived ideas on what a crime scene investigator actually is, and what they do on a daily basis. While the media representation of ‘CSI’ isn’t always too far off, there is far more to the job of a Scenes of Crime Officer than you are probably aware of. In our guide, we’ll give you a comprehensive overview of everything that you need in order to become a crime scene investigator. With the help of insider experts, we’ll take you through the entire process: from application stage to assessment centre, interview to medical check-up. By the end of our book, you will be perfectly placed to apply for a job as a crime scene investigator! Ensuring that the crime scene is free from potential contamination. It’s particularly important to ensure that evidence doesn’t get cross contaminated. Cross contamination occurs when evidence is mixed up with other evidence, or gets moved by people visiting the scene. Investigators wear gloves to prevent contamination from happening, and crime scene tape is placed around the area in question. Preserving and collecting key pieces of evidence. It’s extremely important to ensure that evidence is protected and maintained in exactly the same condition that it was found. For this reason, investigators use plastic containers/bags, in which they place each piece of evidence. Taking photographs of the crime scene. Crime scene photography is a really important part of the process. 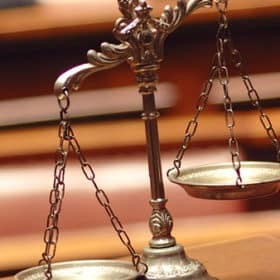 It documents the appearance of the crime scene, the victims, and the position of key pieces of evidence – such as footprints and blood patterns. It provides a permanent visual record of the scene, which can then be used in the investigation/as evidence. Now, as we mentioned in the introduction, this is nowhere near as simple as it sounds. It’s pretty tough to collect key pieces of evidence, especially when you are in the same room as a deceased victim. You’ve probably never tried taking a fingerprint sample from a man who has been bludgeoned to death with a hammer, but it takes nerves of steel. If you want to be a crime scene investigator, you need to be someone who is able to manage your emotions in situations such as this. WHAT DO I NEED TO BECOME A CSI (CRIME SCENE INVESTIGATOR)? The requirements to become a CSI will vary from force to force. While some constabularies won’t officially require you to have a degree in forensics, photography or criminology, this will almost certainly help your cause. CSI/SOCO jobs are extremely popular, and you can expect that a large number of the candidates applying will be in possession of degrees. 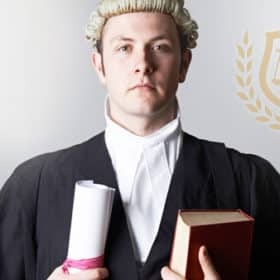 In fact, more and more constabularies are now asking their candidates to have some kind of forensic or photographical degree to their name, prior to application. The more qualified you are for the role, the better you will stand out during the application process, and the more likely you are to be successful. The good news is, there is an enormous number of CSI jobs generally available. Although the competition is fierce, this means that there are a huge variety of places to apply. With 43 police forces in the UK, you won’t be short of options. The biggest employer, of course, is the Met Police in London. 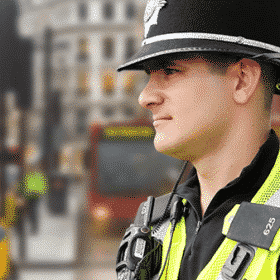 CSIs also work for smaller regional forces, and for the British Transport Police. 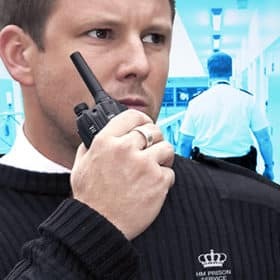 Once employed as a CSI, you will be required to take part in National Police Improvement Agency (NPIA) training, and take a refresher course in CSI once every 5 years. A degree in a science-related subject, such as biomedical or forensic science. A Higher National Certificate/or Diploma in photographic studies. Forensic science in particular is a very popular degree course. To get onto these courses, you will generally need to have a minimum of at least 2 A-Levels, with one being a science based subject. An excellent standard of eyesight. Both of the above are fundamental requirements for any Scenes of Crime Officer. SOCOs must be able to drive to and from crime scenes, often on very short notice. You may be asked to take a basic driving assessment prior to application, to prove your capability behind the wheel. Likewise, having good eyesight is essential, as you need to be able to spot small details at the scene. Just as with any job, in order to become a crime scene investigator, you will need to adhere to a strict set of behavioural guidelines. These are known as core competencies, and learning them is one of the most important things you can do in order to gain a job. Whether you are applying to the role, or working as a crime scene investigator, you will need to demonstrate these competencies over and over again in order to be a success. The competencies aren’t just a guideline for you to follow, they are a huge part of why the police are respected by the public. The presence of blood at the scene, and the areas in which it was and wasn’t present. The initial impression of the crime scene, before any markers or investigatory tools have been placed. If the crime scene is outside, then you will need to take immediate steps to establish which pieces of evidence could be compromised by the elements, such as hairs or clothing fibres, and then collect this evidence as a matter of priority. Along with this, it’s also important that crime scene investigators are astute and accurate in measurements. When taking notes, you’ll need to ensure that distances and measurements are written down, for example, noting how far blood was found from the victim. This ensures that the locations of important evidence can be used later in the investigation. Composure is a big part of this job. You need to be someone who can remain calm under pressure, and you must be able to handle distressing and difficult situations. This is really hard, especially when you are required to deal with a deceased victim, or a particularly gruesome crime scene. This is something that you will be taught how to deal with during your training for the role, but you still need to be able to demonstrate this quality during the application process. It’s imperative for the police that you are someone who can handle this, because they don’t want to employ someone who will get as far as their first crime scene and then realise that it’s too much to deal with. It’s important to note: crime scene investigation is not for everyone. You have to be particularly strong to handle many elements of this job. The calmer you can remain, the better you will be able to do the job, and the sharper your investigatory skills will be. For more core competencies, check out our guide! 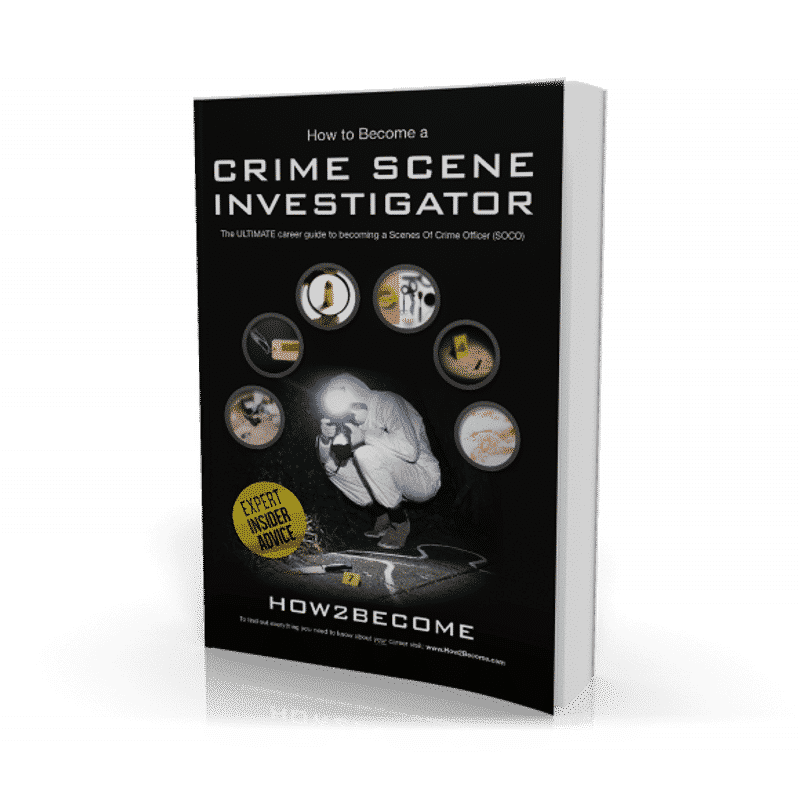 In this book, we’ll give you an extremely detailed overview of the application process for becoming a crime scene investigator. Now, however, let’s take a brief overview of what the process actually involves. To apply for a job as a crime scene investigator, you will need to apply directly through the constabulary that you are looking to work for. So, if you want to become a crime scene investigator for the Kent Police, you’ll need to apply through the Kent Police website. Remember though that there may not be a vacancy in your constabulary, so keep a close eye out for similar positions which open up in nearby areas. The number of stages that you’ll have to take when applying to become a crime scene investigator will depend upon the constabulary to which you are applying. Each constabulary will have a different way of doing things, and could require you to attend extra stages than another might ask you to. In this book, we’ll take you through every single stage that you may be asked to take as part of your application process. Before applying, you should check with your constabulary as to what the recruitment process is. This is something that every constabulary will require you to take. On this form, you will need to provide the force with details such as your personal information, your criminal record and your work/education history. Finally, you may be required to answer a series of competency based questions. For constabularies, you will be required to fill in a further application form. If you do have to fill in this form, then you will almost certainly have to answer competency based questions. Some constabularies will use the initial application form as a personal/vetting check, before asking candidates who pass this stage to answer a competency based form. Some constabularies might ask you to pass a telephone interview. This will take place after the application form stage, and will require you to speak with someone from the constabulary on the phone, for around half an hour. Next, you’ll have to attend an assessment centre. Some constabularies will ask you to do this, while others won’t. You’ll attend the assessment centre with many other candidates, and will complete a series of tests, based around the requirements of a crime scene investigator. Finally, you’ll finish off the day with an interview. The interview at the assessment centre will be a controlled interview. This means that you’ll have 4 questions, with 5 minutes exactly to answer each question. The questions will be centred on the national police core competencies. The next (and final) stage that you have to attend, is a final interview. The final interview will be much longer than your previous interview, and will be slightly less informal. You’ll be given a wide range of questions, not just competency questions. If you reach this stage, then you can be assured that the constabulary are extremely interested in hiring you. Finally, once you’ve passed all of this, you’ll need to attend a medical and physical check up with the constabulary. In particular, they will pay close attention to the quality of your eyesight. Good eyesight is a fundamental requirement for a crime scene investigator to have. Finally, once you have been accepted into the force, you will need to go through a period of extensive training. This will be mixed with on-the-job experience, and will aim to sharpen vital investigatory skills, such as photography and preventing evidence contamination. In order to pass all of these stages, you will need to conduct extremely thorough preparation. It’s really hard to become a crime scene investigator, and for good reason. Crime scene investigators play an incredibly important role in police operations, and therefore the police need to make sure that they have the right person for the job. This form will differ depending on the constabulary that you are applying to. Every single form will ask similar vetting questions, such as your name, age etc. However, where constabularies may differ, is in the competency based questions. Some constabularies may ask you to complete a series of competency based questions on the initial application form, but other constabularies may leave this out of the initial form, before sending you another form to complete later, once they have established that you meet their entry/eligibility requirements. Either way, at some point over the 1 or 2 forms, you will need to complete a series of competency based questions. When the police inform you that you have been successful, they will also provide you with key information about the assessment day, including what exercises you’ll have to take. Now, let’s look at the tests that you may need to take. First up, is the numerical assessment. This will consist of a series of maths based questions, ranging from simple calculations to data analysis and percentages. As we explained earlier, maths is really important for a crime scene investigator. Although you won’t need to perform really complex maths, you will need to have a good concept of factors such as distance and measurements. The other reason that a numerical assessment helps to work out whether you will make a good crime scene investigator, is that it assesses your accuracy. There is no ‘black and white’ in maths, you are either wrong or you are right, and therefore accuracy is imperative. Fractions and percentages. For example, work out 10% of £432. Data analysis. You will be given a set of data and asked mathematical questions based on this data. Decimals and rounding. Questions requiring you to round up or down based on the decimal point. Mean, mode and range. You will be given a set of data and then asked to calculate various things. Perimeter and area. Here you’ll have some shapes, and be asked to calculate measurements based on the shapes. Angles. You’ll be given a shape, and asked to calculate the angles. As you can see, this is all fairly rudimentary stuff. Along with all of this, there is also a possibility that you will be assessed on areas such as graphs, long division and algebra. You might be asked to sit a verbal reasoning exercise, which assesses your attention to detail. You might be asked to take a written report exercise, which will assess your grammar, spelling and punctuation, as well as the quality of your written communication. Literacy skills are extremely important for crime scene investigators. You must be able to compile in-depth and accurate reports based on your findings at a crime scene. These reports need to be good enough that they can be used in court, and further on in the investigation. Remember that accuracy and communication are both core competencies of a CSI, and this assessment will test both of these areas. The written report exercise will also test your attention to detail. For practice questions on Maths, Report Writing and Group exercises, pick up our guide! Generally, you will need to take two interviews in order to gain a place as a crime scene investigator. The first of these interviews will be taken at the assessment centre. It will last for 20 minutes, and will consist of 4 competency based questions. The second interview will be taken after the assessment centre. This will be a longer interview, and more focused around getting to know you and your motivations for joining the police. The assessment centre interview is structured, and will take 20 minutes to complete. The interview panel will consist of two or three people. These can be from either the uniformed side of the service or support staff. You will be asked 4 questions in total. The first two questions will be focused on your values and motivation for joining the police, and the last two questions will focus on your past experience and ability to demonstrate the core competencies. These final 2 questions are known as situational questions. You will be given a total of 5 minutes to answer each of the 4 questions. The person interviewing you will stop you if you go over the five minutes. As the person interviewing you asks you the question, they will also give you a written copy of the question to refer to. 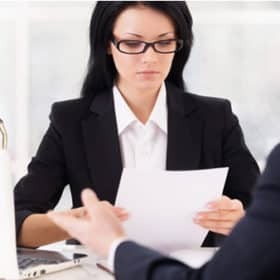 When you consider yourresponses to the interview questions, you should only choose examples that you feel comfortable discussing with the person interviewing you. The final interview is a little bit more relaxed, and perhaps a bit less intimidating. Here, the focus is just as much on getting to know you as a person and a potential employee, as it is on the core competencies. The interview can range from between half an hour to an hour, and will focus on issues such as why you have applied to become a crime scene investigator, why you have applied to that force in particular and what you know about the role. You’ll also be asked some more competency based questions. Along with this, you can expect the final crime scene investigator interview to focus more heavily on the crime scene investigator specific competencies than the previous. While the assessment centre interview is about establishing that you meet the police core values and expectations, this interview will require you to demonstrate to the interviewer that you have the qualities needed to become a great CSI. Below we’ve given you a typical question from this interview, along with a sample response. Tell us why you want to become a crime scene investigator? In this question, the interview is trying to find out your motivation for becoming a crime scene investigator. It’s important for the police to establish that you are applying for the right reasons. Remember that this is an extremely difficult job, where you will be faced with tough scenarios, and therefore they don’t want to hire someone who will drop out on the first day. They need someone dedicated and committed, who is prepared to give their all to the position. You should acknowledge the difficulty of the role in your response, but make it clear that you are more than prepared for the challenges you will face, and welcome them. Along with this, you could also tell them about your current role, and why you want to leave. Make sure you are really positive though. Being negative about your current employer will not create a good impression. I am extremely enthusiastic about the prospect of becoming a crime scene investigator. Although I have worked in my current role now for a number of years, and have a fantastic employer, I no longer feel challenged by this role. I fully understand that working as a crime scene investigator is a tough and emotional role, but I really believe that I have the qualities to thrive in this position. Along with working for the police, a hugely respected organisation, I am someone who is extremely analytical, accurate and precise in everything that I do. I studied forensic science at university, and therefore I already have a fantastic depth of CSI knowledge. I feel confident that with minimal training, I can step into any crime scene and perform a great job on behalf of your constabulary. Finally, it goes without saying that I have a huge interest in crime and law enforcement. I have always been fascinated by the technical details of crime scene investigation work, and I believe this job will really fulfil that natural interest. I believe that I have the right qualities for this role, and to help your constabulary deliver a fantastic service to the public. For many more sample responses and interview tips, check out our fantastic guide! A comprehensive overview of the CSI application process, including interview tips and answers! A full breakdown of what the role involves, and what type of person you need to be! The core competencies that you MUST learn and how you’ll be assessed on these throughout your application process. Sample application form and interview questions and answers. The entire selection process covered, including a step-by-step assessment centre walkthrough. In-depth tips and tricks to help you improve your investigation and analytical skills. Puzzle questions to prepare you for logical and critical thinking. The ULTIMATE advice to help you secure your dream job as a crime scene investigator!